LeBron James tallied 42 points, including 20 in the fourth quarter to lead LA to victory. 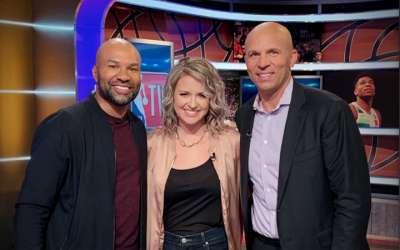 Afterward, Derek Fisher broke down how LeBron and the Lakers overcame a rough showing in the third quarter to pull out 121-113 win at home. In addition to LeBron’s big night, Kyle Kuzma chipped in 22 points and nine boards, Lonzo Ball added 14 points with nine assists and Tyson Chandler chipped in nine rebounds while steadying the Lakers on the defensive end. Check out full highlights with analysis from D-Fish and Big Game James Worthy below. The victory moved LA into sole possession of the 5th spot in the West after 24 games. 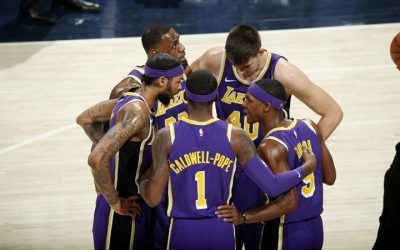 After a slow start that saw them lose five of their first seven games, LA is now 13-4 in their last 17 and inching their way up the standings in the West. Going into play on Thursday night, they sit just two games behind first-place Denver in the West.